Webdoc.com.pk offers you a safe, reliable online health platform which connects the Certified and Authorised Doctor’s to the Patients face to face on video. NOTE: DO NOT USE THIS SITE FOR EMERGENCY MEDICAL NEEDS. Lack of access to health care providers in Pakistan is a massive, growing problem. The average wait time to see a physician is three weeks. Even if you can see a doctor, it takes 2-3 hours from the time you leave your home or office to the time you get back home. We’re not getting the care that we need. We built Webdoc.com.pk to help address this problem. 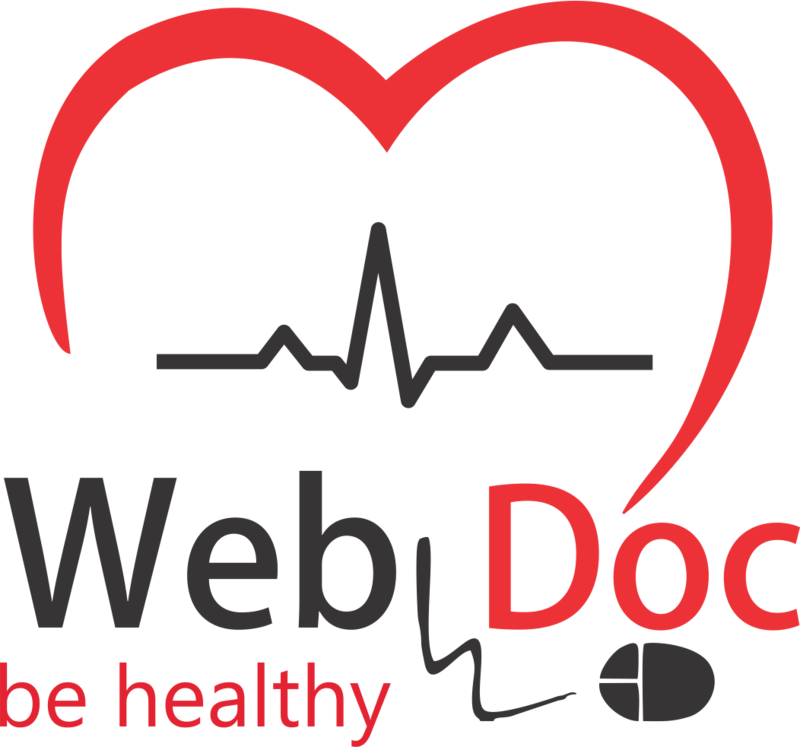 Webdoc.com.pk offers you a safe, reliable online health platform which connects the Certified and Authorised Doctor’s to the Clients / Patients face to face on video. Just fill in simple details to Sign up. It’s FREE if you are client of Easy Piasa, Telenor OR United Insurance Company of Pakistan Limited. Once Sign up , you can choose the doctors from the list . You can Click the Doctor and read through the profile to see if he/she can help. Click on Connect and you will be LIVE connected with the Doctor. VISIT A DOCTOR ANYTIME, ANYWHERE! Sometimes you just need a doctor – whether you’re at home in the middle of the night or in the middle of a road trip. Now you can talk to a doctor any time of day or evening wherever you are as long as you have access to a smart phone, Laptop, PC , ipad and internet. Webdoc lets you have face-to-face conversations with a doctor on your computer or mobile device. It’s medical advice and medicine the moment you need it. No appointments. No waiting. Webdoc Online uses two-way video to connect you with Pakistan.-based PMDC board-certified doctors. And since it’s an online experience, it’s quick, easy and always on your terms. But convenience also comes with excellent service. Doctors using Webdoc can answer your questions, assess your condition and even provide prescriptions* if needed. I am general physician. I have been practicing for 2 years. I am registered medical practitioner & studied at Islamabad medical & dental college. Graduate of Shaheed Mohtarma Benazir Bhutto Medical University Larkana. I have completed my training in Medicine, Surgery, ENT and also have a vast experience in Emergency ,General and Family OPD. Graduate of the Army Medical College. I am a public health specialist with a broad experience in critical ward setting, General OPD and preventive medicine. I have been practicing for 2 years and studied MBBS at LUMHS Jamshoro. I recieved traning from Capital Hospital Islamabad. Now Doctor at Rawal General & Dental Hospital Islamabad. I am general physician. I have been Practicing since 3 years and have great experience in dealing heart relates disease , infectious disease and diabetics. Graduate of Khyber Medical College. I have completed my training in Pediatrics and also have a vast experience in Emergency ,General and Family OPD. To empower the people of Pakistan through WebDoc so that every citizen have access to online Doctors from anywhere as we believe that “there is nothing better than health”. Copyright © 2019 WebDoc. All rights reserved.